Ireland's house prices continue to rise strongly, mainly driven by strong demand as well as supply shortages. The national residential property price index rose by 8.44% (7.48% inflation-adjusted) during the year to October 2018, lower than last year's 11.67% y-o-y rise, according to the Central Statistics Office (CSO) Ireland. This is supported by figures released by Ireland's largest property website Daft.ie, whose data had nationwide average house prices rose by 5.5% y-o-y in 2018 from a year earlier, to €254,000 (US$292,548). Nationally, residential property prices were up about 55% from their lowest point reached in Q3 2013. In Dublin, Ireland's capital city, the residential property price index was up by 6.31% (5.36% inflation-adjusted) during the year to October 2018, according to the CSO. In Dublin City Centre, the average asking price rose by 4.7% to €330,683 (US$380,869) during 2018. North Dublin City's average asking price rose by a modest 2.5% y-o-y to €337,594 (US$388,829). North County Dublin's average asking price rose slightly by 1.5% y-o-y to €311,916 (US$359,254). South Dublin City's average asking price rose by 3.2% y-o-y to €407,404 (US$469,234). 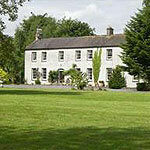 West County Dublin's average asking price dropped 1.1% y-o-y to €300,842 (US$346,499). South County Dublin's average asking price rose by 4.8% y-o-y to €591,096 (US$680,804). In Carlow (located in Leinster, eastern Ireland), the average residential asking price was up 9% y-o-y to €189,745 (US$218,542) in 2018. In Cork County (located in Munster, in Ireland's south), the average asking price rose by 6.3% y-o-y to €220,173 (US$253,588) in 2018. In Galway County (located in Connacht, Ireland's western region), the average asking price rose by 7.4% y-o-y to €197,791 (US$227,809) in 2018. In Waterford City, the average asking price increased 8.6% y-o-y to €174,879 (US$201,420) in 2018. In Limerick City, the average asking price rose by 9.8% y-o-y to €194,214 (US$223,689) in 2018. In Monaghan (located in Ulster, in the Republic of Ireland's north), the average asking price rose by 3.1% y-o-y to €169,305 (US$195,000) in 2018. Apartment prices in Ireland rose by 9.74% during the year to October 2018 (8.77% inflation-adjusted); house prices rose by 8.57% y-o-y (7.61% inflation-adjusted) over the same period. House prices in Ireland are forecast to continue to rise strongly in the next three years until supply catches up with demand, which will occur around 2021, according to the ratings agency Standard &amp; Poor's. S&amp;P expects Irish house prices to rise by 8% this year, 7% in 2020 and 6% in 2021, amidst a strong labour market and housing supply shortages in key areas, particularly in Dublin. Ireland's economy was estimated to have expanded by 7.5% in 2018, mainly buoyed by the activities of multinational companies, coupled with strong labour market and construction investment, according to the CSO. The Irish economy grew by 7.2% in 2017, after GDP growth of 5.1% in 2016, 25.5% in 2014 (obviously a statistical artefact), 8.3% in 2014, and 1.1% in 2013, according to the European Commission. Gross rental yields on apartments remain excellent in Dublin, in certain areas and for certain sizes. Across the range of apartment and house sizes, Dublin 1 earns the best returns. How much will you earn? One-bedroom apartments will earn relatively more than two-bedroom houses (in terms of return-on-investment), and those in turn will earn relatively more than 3-bedroom houses, etcetera. To earn higher returns, buy smaller units. As is perhaps to be expected, the highest yielding apartments are those in the lowest-cost areas. It was ever thus! These areas also tend to be those where prices are least volatile, thus least exposed to a downturn. In Dublin 1 a 1-bedroom apartment bought for around €200,000 can rent for around €1,380 per month, earning a yield of 9.35%. Please remember that these yields are gross; net yields will be less. Round trip transaction costs are moderate for buyers of residential property in Ireland. See our Ireland residential property transaction costs analysis and our Residential property transaction costs in Ireland compared to other countries. Rental Income: Gross rental income is taxed at 20%, withheld by the tenant. The taxpayer may file a return and claim relief for expenses related to his property. Capital Gains: Capital gains is imposed at a flat rate of 33%. Taxable capital gains are generally computed as selling price less acquisition costs, adjusted for inflation, and improvement costs. Inheritance: Inheritance is taxed at a flat rate of 33%, with certain non-taxable amounts deductible before the tax is levied. Residents: Residents are taxed on their worldwide income. Numerous tax credits and deductions are available to residents; of which the actual values depend on the taxpayer’s personal circumstances. Round-trip transaction costs are around 4.94% to 13.205% of the property price. The buyer pays the stamp duty (1% to 2%), legal fee (1% to 1.5%, plus 25% VAT), and registration fee. Ireland has strong tenant protection laws. Rents. The parties are free to negotiate rents, but the amount must not exceed the open market rate. The rent may be reviewed and can only be adjusted once a year. Rent disputes go to the Private Residential Tenancy Board (PRTB). Tenure Security. Security of tenure is effective for four years; during the first six months, the landlord can terminate the leasing contract without specifying grounds but once a tenancy has lasted six months, the landlord can only terminate the tenancy for the next 3 1/2 years citing just causes. Ireland’s stellar economic growth for 2018 has confounded expectations again, with official estimates showing that real GDP expanded by 7.5% from a year earlier. This was mainly driven by companies nominally relocating in the country, such as Perrigo Co. and Jazz Pharmaceuticals Plc. They are attracted by the country’s very open economy and by its relatively low tax inversion rate of 12.5%. These corporate inversions result in little real change in output, just a change in where the legal ownership of the output is located. However, these growth numbers have downside risks. First, tax inversions only artificially inflate the size of Ireland’s economy. When a corporation’s headquarters become resident in Ireland, all of its profits (including profits generated abroad) are counted as part of the country’s gross national income - which dramatically increases the country’s economic growth without corresponding increases in employment. Also, this increases Ireland’s contribution to the EU budget, which is based on the size of a member´s economy. The growth figures are also misleading and will create confusion about the real condition of the Irish economy, and increase people’s skepticism with regards to the reliability of economic figures. Nobel Prize award-winning economist Paul Krugman described a similar phenomenon as "Leprechaun economics". The Irish economy grew by 7.2% in 2017, after GDP growth of 5.1% in 2016, 25.5% in 2014 (obviously a statistical artefact), 8.3% in 2014, and 1.1% in 2013, according to the European Commission. The economy is expected to expand by a more modest 4.5% this year. Overall inflation was 0.6% in November 2018, slightly up from 0.5% in the same period last year, according to CSO. Nationwide inflation rate was estimated at 0.7% last year, an acceleration from 0.3% in 2017, -0.2% in 2016, -0.04% in 2015, and 0.3% in 2014, according to the IMF. Unemployment dropped to 5.3% in December 2018, from 6.2% in the previous year, according to the CSO. This is also substantially lower than the 12.8% average from 2009 to 2016. Ireland’s average unemployment rate was 4.4% between 2000 and 2007. Ireland’s economy has been on an unusual journey over the past 7 years. Ireland had the euro zone’s highest budget deficit in 2010, at 31.2% of GDP. In November 2010 it had no choice but to seek a €67.5 billion ($82 billion) bailout from the European Union (EU) and the International Monetary Fund (IMF). In exchange, Ireland committed to a harsh austerity program. The country spent around €80 billion to establish the National Asset Management Agency (NAMA) to buy toxic loans, primarily to improve the availability of credit to the Irish economy, and to remove non-performing loans from bank balance sheets. In June 2012, 60.29% of Irish voters agreed to the European fiscal compact of May 31, 2012, allowing Ireland to access to the European Stability Mechanism, a €500 billion ($618 billion) bailout fund. By 2011 the Irish budget deficit had fallen to 12.5%, and to 8% in 2012, comfortably within the 8.6% target set by Ireland´s international creditors: the EU, ECB and IMF. The budget deficit declined again to 5.7% of GDP in 2013. At end-2013 Ireland became the first country to exit the eurozone bailout programme. In 2017, the budget deficit shrunk to 0.2% of GDP, down from 0.5% in 2016, 2% in 2015 and 3.7% in 2014, amidst strong economic growth and robust corporation tax payments. The deficit was estimated to have fallen further to 0.1% of GDP in 2018, according to the European Commission. Ireland is expected to register a budget surplus in the next two years. Likewise, gross public debt is expected to fall to 61.1% of GDP this year, from 63.9% in 2018 and 68.4% in 2017, based on European Commission estimates.